Rev. 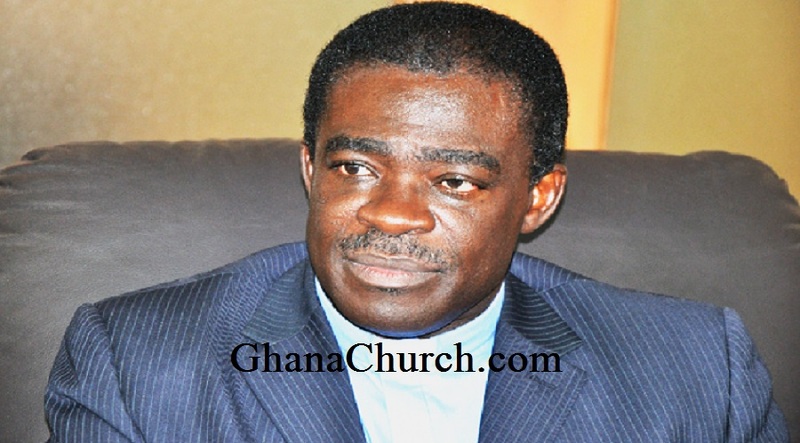 Dr. Kwabena Opuni-Frimpong was appointed the General Secretary of the Christian Council of Ghana on 24th April 2013 at the Council’s Annual General Meeting. Prior to his appointment, he was the Asante Presbytery Chairperson of the Presbyterian Church of Ghana. He has over the years served in various capacities as a minister of God after he was commissioned as a minister at the Osu Ebenezer Presby church in June 1991. 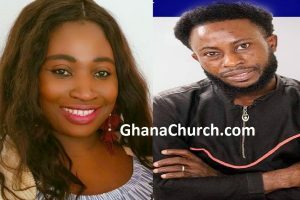 Since then, he has pastured a number of Presbyterian congregations including the Christ Presby Church, Akropong Akuapem; Trinity Presby Church Kwashieman, Accra; Christ Presby Church Darkuman, Accra; Kanda Presby Church, Accra; Covenant Presby Church, Dzorwulu Accra; Dome Presby Church Dome, Accra; North Legon Presby Church North Legon, Accra; Oforikrom Presbyterian Church, Kumasi; Christ Congregation, KNUST Kumasi and Patasi Presby Church, Kumasi. Moreover, he has served in other capacities in the PCG including General Youth Secretary; Secretary, PCG National Worship Committee; Synod Committee and Synod Committee Executive Member, PCG; Project Manager, PCG HIV/AIDS Project; Member of National Christian Education Committee; National Secretary, National Ministers Conference of PCG; Board Member, Trinity Insurance Brokerage Ltd and Board Member, PCG Agents Welfare Scheme. Rev Dr Kwabena Opuni-Frimpong was appointed full time lecturer at the Department of Religious Studies of the Kwame Nkrumah University of Science and Technology (KNUST) in 2005 and has worked with the Department up to date. At the KNUST, he has served in various capacities including Board Member, Faculty of Social Sciences Board; Board Member, College of Arts and Social Sciences; Board Member, Academic Board KNUST and Head of Department, Department of Religious Studies. Coupled with his role as a minister and lecturer, he also serves as the Chairman of Board of Governors of Prempeh College, Kumasi; Board Chairman of Ramseyer Vocational and Technical Institute, Kumasi; Board Chairman of Presby Girls Senior High School Kyiriapatre, Kumasi and Board Chairman, Atwima Kwanwoma Presbyterian Senior High School Pakyi, Kumasi. Rev. Dr. Opuni-Frimpong attended Collins Secondary Commercial School Agogo for his GCE O’ Level Certificate and Konongo Odumasi Secondary School Konongo, for his (GCE A’ Level Certificate). After his A’ Level education, he enrolled at the Trinity Theological Seminary, Legon and obtained a Diploma in Theology. From Trinity, he continued to the University of Ghana, Legon where he obtained B. A. Hons Political Science & Study of Religions. In his quest to further his education, he attended the Union Theological Seminary and Presbyterian School of Christian Education, Richmond USA and University of Natal, Pietermaritzburg South Africa / Akrofi Christaller Institute for Masters in Theology and Doctor of Philosophy respectively. He has given several public lectures including the famous Ghana Broadcasting Corporation 75th Anniversary public lecture on The Interface between Religion and Media in Ghana on April 23, 2010. Rev. Dr Kwabena Opuni-Frimpong is the author of Indigenous Knowledge and Christian Missions (2012) and Vision and Mission (2013). He is happily married to Abigail Opuni-Frimpong and they are blessed with 5 wonderful children – Daniel, Abigail, Miriam, Emmanuella and Mary.